Prized flowering landscape trees with dramatic, fragrant blossoms, magnolias are living vegetative dinosaurs, representatives of ancient tree species that still thrive today. The magnolia is also an iconic tree in the U.S. South--especially the Southern magnolia, a tall evergreen landscape tree with large, broad and leathery leaves. These stately beauties drop their leaves as part of their natural habit, but because these leaves are so large this feature can irritate homeowners and gardeners. Older leathery leaves of the Southern magnolia drop in spring. There are many known magnolia species worldwide, both tree and shrub forms, and most of these native to either southeastern Asia or the eastern Americas. 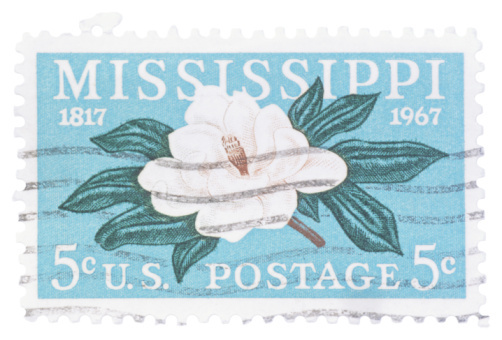 Magnolias are among the world's most ancient flowering plants, appreciated for their attractive form, fragrant flowers and showy, colorful fruits and seeds so attractive to songbirds. Some magnolias are evergreen, but many are deciduous, meaning that they drop their leaves in autumn and conserve energy in winter by going dormant. Some are semi-deciduous. Also known as the bull bay tree, the Southern magnolia is the most notable evergreen magnolia native to the U.S., a dramatic landscape tree. 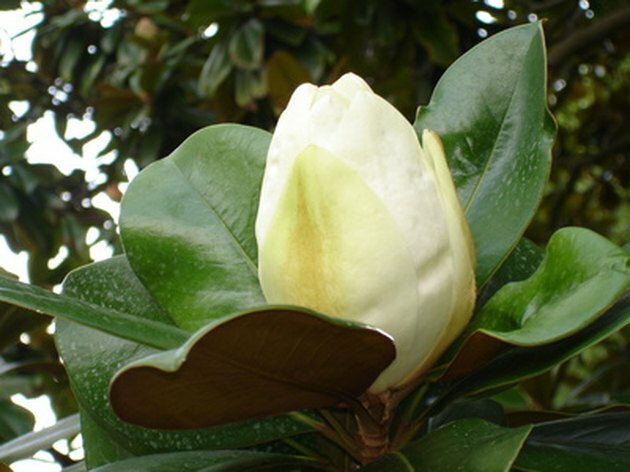 The Southern magnolia can get quite large--60 to 80 feet tall and 30 to 50 feet wide--and needs lots of space. It requires acidic, moist soils, but can tolerate drier conditions if its roots have room to "roam" and seek water elsewhere. Its large glossy leaves stay on the tree year-round, when other trees are bare, which is one reason it's so popular in yards and gardens. 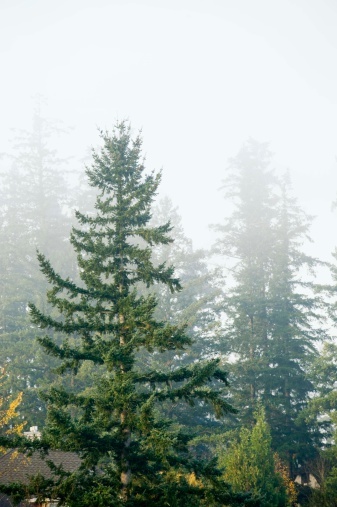 "Evergreen" is a misnomer for evergreen plants and trees, because all types shed older leaves or needles as part of their natural life cycle. Healthy trees can also drop up to 10 percent of their leaves during droughts, because this helps the tree conserve moisture otherwise lost through transpiration or "breathing" process that occurs in a plant's leaves. Too much water, nitrogen deficiency, air pollution and other environmental stresses can also cause tree leaves or needles to drop. In spring the Southern magnolia drops its oldest leaves as new growth begins. Older, "tired" leaves suddenly turn yellow, throughout the tree, and those are the leaves that will be shed. They don't drop all at once, either, falling over time. Leaves are large, each measuring up to 10 inches long, and very tough, taking time to decompose. Younger leaves toward the growing tips of branches--where the season's new growth will emerge--will remain glossy and green. Avoid the maintenance irritation of Southern magnolia leaf drop by planting--and pruning--strategically. Plant it away from sidewalks, driveways and patios, any location that the leaf accumulation will cause problems. Locate your Southern magnolia at the edge of yard or lawn areas. When magnolias are planted on lawns, homeowners or gardeners typically remove lower limbs, for mower access. But if you allow lower limbs to drape down to the ground, they will hide fallen leaves. As leaves decompose, as nature intended, they provide root protection and nutrients.